This is a second post in my Challah Bread series. In the previous one, I have shown how to make a salty filled Challah in two variants – with mushrooms or spinach filling. This time we will deal with the sweet variant – both the dough and, naturally, the filling are going to be different. 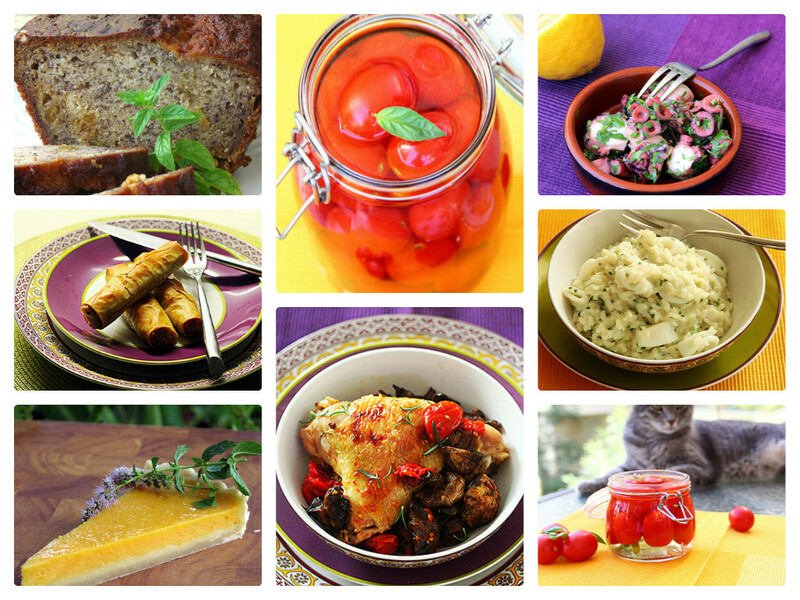 The history and the meaning of the meal are the same, so, if this is the first post you are reading, I really suggest to read the background here. 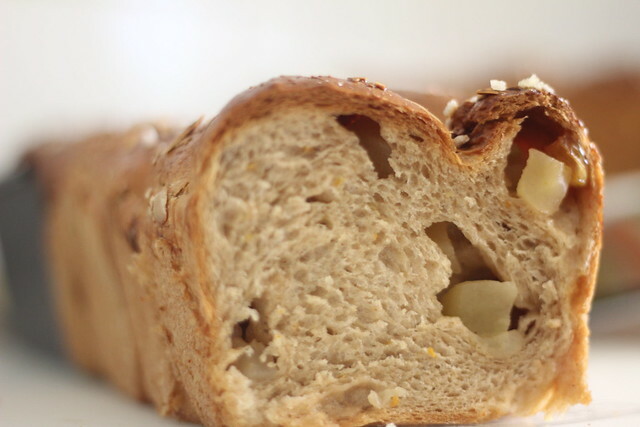 As opposed to most of the bakery recipes I publish on this blog, these breads take quite some time to prepare. On the positive side, they are amazingly good, and every time I make them, they get eaten within a matter of hours. 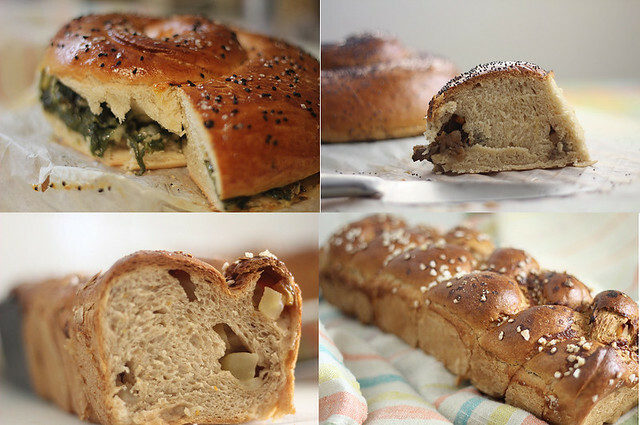 So, if you’d like to take up a challenge – lets bake a filled Challah. The original idea of making such a bread is not mine. It belongs to Erez Komarovsky, a chef/baker that started as an owner of a bakery, then developed it into a network of bakeries, then added restaurants, and then sold them all in order to move to a quiet and peaceful Galilee to continue cooking (and teaching others) there. The idea of baking a Pâte à pain roll filled with vegetables (or meat, or cheese) is, of course, far from being original. The innovation here is taking the same approach with a Challah bread. For those not familiar with the concept, let me say a couple of words about Challah: it is a kind of bread loaf, prepared for festive days according to Jewish tradition. (Saturday, for instance, is a festive day). It is a kind of very soft (and, in many cases sweet) pastry, that is very aromatic. In fact, for many Jewish families, the aroma of freshly baked Challah is intrinsically connected with the aroma of “home”. The goal Erez has defined for himself was to keep these very important qualities of Challah, but to create a filled version, where the filling would combine naturally with the dough. What I like about these buns is the very unusual combination of ingredients – I haven’t seen any use of poppy seeds in non-sweet bakery before (except for some basic bread recipes). 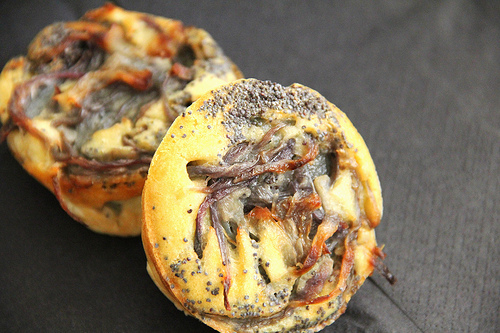 I have to confess that I simply love the sensation created by the poppy seeds when eating these buns – the crunchy sense and sound. In this recipe, the dough is a bit unusual as well, slightly resembling that of a pancake. Clean the onions, cut them first into halves and then further into thin half-rings. Fry them “on” oil in the frying pan, till the point when they become transparent. Very important to stop at this point, as the onions will continue their preparation in the oven. Mix all the ingredients for the dough into a smooth mixture and leave for 10 minutes – the dough turns liquid. Preheat the oven to oven to 210C and warm the muffin-shaped baking form inside. Spray oil on the baking form very generously. 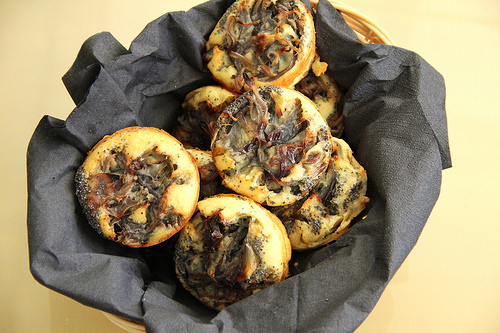 Fill each muffin-shape in the form with the dough – one way of doing it is with a ladle, spreading on top a spoonful of onion and a teaspoon of poppy seeds. Bake for 30 minutes. During the baking, some of the onion and poppy seeks will sink into the dough, and the dough itself will “rise” almost doubling its original size. The buns are best served when they are still warm, straight of the oven! We just started enjoying the short cold and rainy season when sunny weather came back. Maybe the winter will still appear. 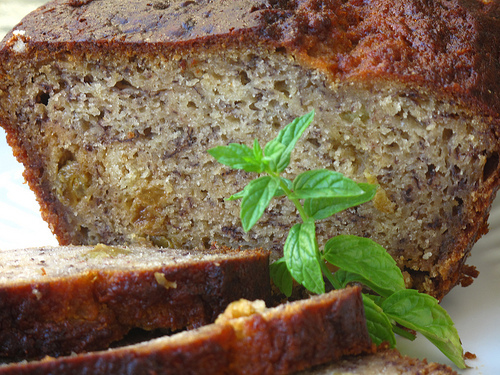 In the meantime, I’d like to offer this Banana Bread (or, actually, a Banana Cake). It is very simple, and structurally reminds of a bread. Naturally, it is a sweet bread. It is ideal to try a slice of this bread with a glass of warm milk (or a cup of tea), sitting near the window on a rainy day. The bananas need to be very ripe (maybe even over-ripe, covered with small black dots). Mash them into a puree, and then “stir in” the eggs, sugar and vanilla essence. Mixing this again to get a uniform mash. Then add the butter, sift in the flour and the baking soda, and again, mix all together to a uniform mash. In the final stage, add raisins/pecans/chocolate chips and mix the mash to ensure equal distribution of all ingredients. Spray the baking pan with some oil and pour in the mash. Bake it for 1 hour at 190C, then cool for about 20 minutes before taking off the baking form. If you liked our banana bread cake, why not check out our Poppy Seeds and White Chocolate Cake or our Sweet Pumpkin Pie?